The Stirling engine generator Dean Kamen invented is small and quiet enough to be put just about anywhere, and is extremely efficient, running on a number of readily-available fuels. The Society of Cable Telecommunications Engineers [SCTE] Cable-Tec Expo finished today in Orlando, FL. Keynote speaker Dean Kamen holds over 400 patents worldwide, including an advanced human prosthetic arm for DARPA and the Segway Human Transporter. One of Kamen’s proudest accomplishments is founding FIRST® (For Inspiration and Recognition of Science and Technology), an organization dedicated to motivating the next generation to understand, use and enjoy science and technology. This year, FIRST will provide more than $14 million in scholarships to more than 250,000 young people, ages 6 to 18, in more than 50 countries. At this year’s Expo, Kamen spoke with Time Warner Cable Executive Vice President and CTO Mike LaJoie about his latest invention perfecting the Stirling engine. Kamen admits that his Stirling engine wasn’t originally to be marketed to cable companies, but as a generator, the new device could provide power in remote locations and decentralize the cable company’s power supply. The Stirling engine generator is only about the size of a refrigerator, making it easily deployed and insusceptible to power failures caused by accidents or failing infrastructure. Such a device could make cable companies independent of a centralized power grid, as well as increasing security and ensuring continuous communications, even in emergency situations. The new Stirling engine generator could also be used to being high-speed communications to remote areas at a reduced cost and higher fuel efficiency than standard grid power. For those who don’t know yet, Dean Kamen also invented the Segway. DEKA Revolt: First Hybrid Stirling Engine Car – Powered by Anything! Is the above said generator out yet. It is year 2015? Thanks for sharing. 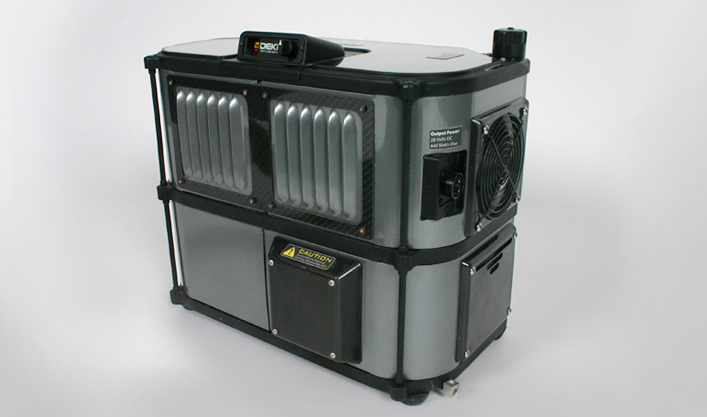 This small generator looks extremely efficient. I have used few products from Kamen’s, they are reliable and has a good life…..